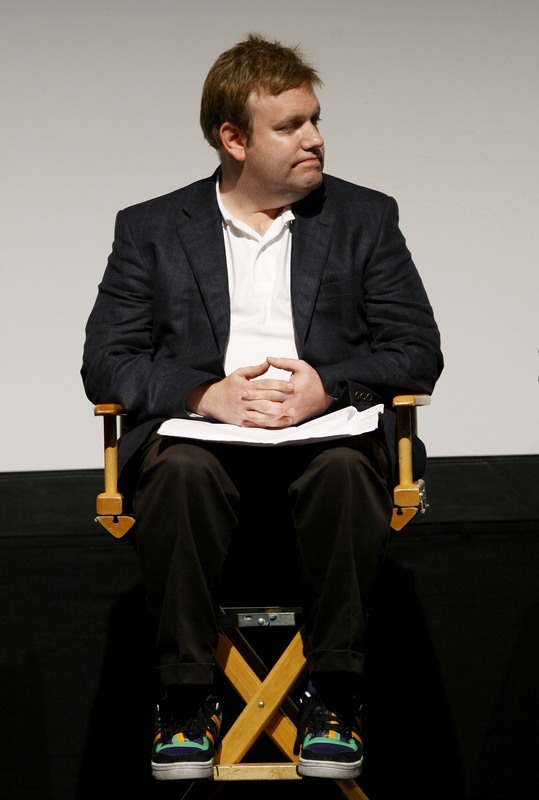 Who Is Frank Luntz, The Guy Trying To Quietly Change Your Mind About Republicans? On Saturday, at the 2015 Family Leadership Summit, an event which showcases Republican candidates, Donald Trump gave a notorious interview in which he discussed John McCain's military record. Trump said, "He’s not a war hero. He’s a war hero because he was captured. I like people who weren’t captured." His interviewer cut him off twice and and asked what he thought again. Suddenly, Trump said McCain was a war hero multiple times, creating a debate about whether Trump meant that McCain is a war hero because being captured is heroic or that McCain only got hero status because he was captured, not because he was doing anything special. Amazingly, Trump got a standing ovation — and his interviewer, Frank Luntz, knew exactly what he was doing. Luntz is not a journalist. He is not a fellow politician or a Republican Party executive. He is a pollster who specializes in language, and though you might not have heard of him, the Republican candidates certainly have. He knows what words to use to make you like them more. Luntz built his career on knowing how to make conservative issues more palatable to the public. He has been an adviser for politicians and corporations, and knows the power one simple word change can have. He gave Trump the opportunity to apologize for his racist remarks about Mexicans (which he didn't take) and led him in a specific direction, one that was intended to minimize controversy for the GOP. This pollster has used research and focus groups to put certain issues into our national discourse. The problem with this method is that it encourages voters to choose based on what they feel instead of what they know. To help you be a little more critical of what these kinds of advisers try to feed you, here are nine political words and phrases that Luntz helped put on the map. The scientific debate is closing [against us] but not yet closed. There is still a window of opportunity to challenge the science. Voters believe that there is no consensus about global warming within the scientific community. Should the public come to believe that the scientific issues are settled, their views about global warming will change accordingly. Therefore, you need to continue to make the lack of scientific certainty a primary issue in the debate. In the 1990s, Luntz did polling on how to get people to care about taxes on inheritances. Calling it the "estate tax" didn't get much of a reaction, because it led people to think about rich people with large estates. However, the idea of a "death tax" outraged voters. Luntz wrote a 28-page memo titled “The Language of Health Care” that was sent to the Republicans in Congress. It encourages them to use ominous phrases such as a "government takeover" when discussing health care reform. The New York Times asked Luntz if insurance companies paid him to write this memo, but he would not say. "Energy exploration" is a lot nicer way to say "off-shore drilling," especially in the wake of environmental disasters. Words that begin with "e" are less threatening than those that begin with "p," "b," or "t," he told The New York Times. School vouchers are government-funded credits that allow students to attend private school for free, but were debated because they put private and public schools in competition with one another. Luntz changed that phrase to "opportunity scholarships," which sounds much more appealing. You really don't want to hear that the government has been "wiretapping" or "eavesdropping," do you? In the wake of the NSA scandal, we began hearing the much fluffier "electronic intercepts," which doesn't bring to mind images of agents with their ears pressed to your doors. Luntz made sure that Republicans cutting taxes sounded like they were giving taxpayers some sort of relief. This phrase implies that taxpayers carry a large burden. In social security reform, "personalizing" the system sounds a lot better than "privatizing" it. Luntz says that the word "private" has negative connotations, such as private clubs and private schools, while "personal" symbolizes control and choice, according to The Hartford Courant. How many times have you heard a member of the GOP say "liberals" like it's the dirtiest word in the world? Luntz encouraged politicians to say "liberals" instead of "progressives" or "Democrats" because it implies that they're playing fast and loose with money and morals.